defined as a small house or cottage (usually of simple design and construction), cabins come in many shapes and sizes. typically they are a modest, often cosy dwelling, typically in a rural or semi-rural location, found in various climates. 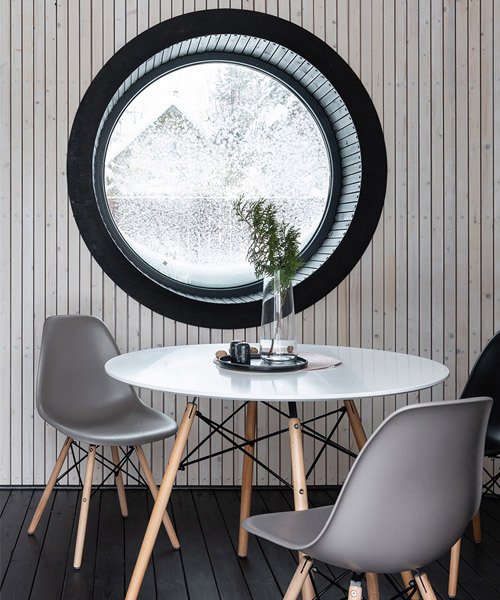 however, in modern usage cabin architecture and design reaches new heights, being interpreted by architects and designers alike, often transformed into grandiose proportions where design is suitably challenged. 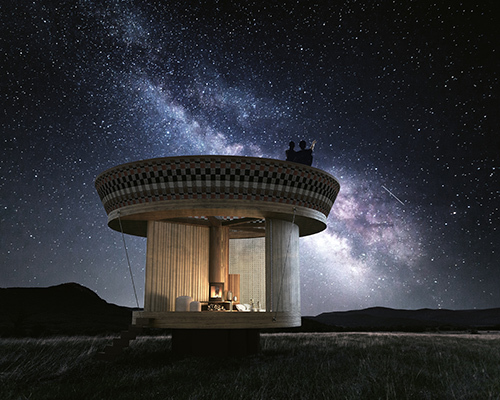 here designboom reports on all news and features relating to cabin architecture and design. the newly launched modules can be placed into any setting with little or no impact on the surrounding environment. the module can be assembled on site and positioned on different foundations, allowing it to be placed in the most remote areas. 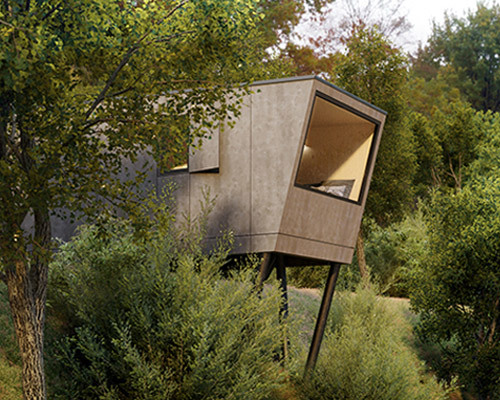 the project aims to create a simple, almost sculptural structure that provides functional and nature-oriented spaces. 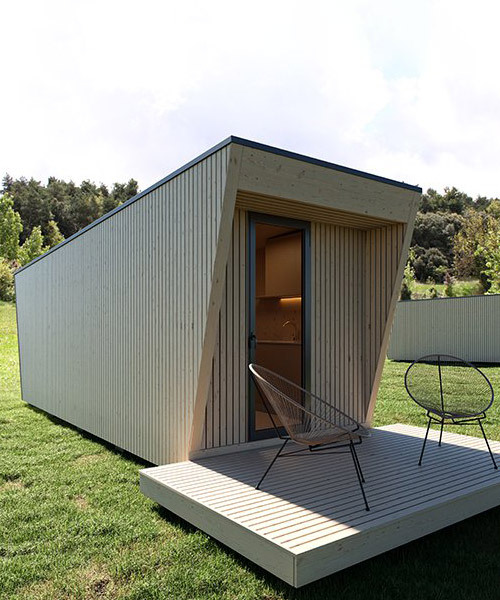 from london, new york, los angeles and beijing, explore MINI LIVING's four urban cabins and their ideas on living big on a small footprint. having spent the past decade in oslo, the design duo wanted to acknowledge not only the enduring minimal aesthetics of scandinavian design they became attached to, but the nordic lifestyle and the value of a healthy work-life balance. while the cabin is offered as a kit of parts to be assembled on site, the simplicity of the assembly process eliminates the need for heavy machinery. the geometric form is situated at an altitude of 1125m, upon a challenging mountain top with magnificent views of the surrounding landscape. in developing the project, the architect was inspired by the work of author and illustrator tove jansson – the creator of the moomins. johansen skovsted cottage restoration recreates the atmosphere of the heritage building, initially built in 1905 among sand dunes of the danish countryside. to translate their sketches of an organic wooden shell into reality, the architects at SPINN contacted FORMAT engineers to help them produce the structure. an unapologetically pink timber structure and a manifesto of independent housing, against debt and mortgages. 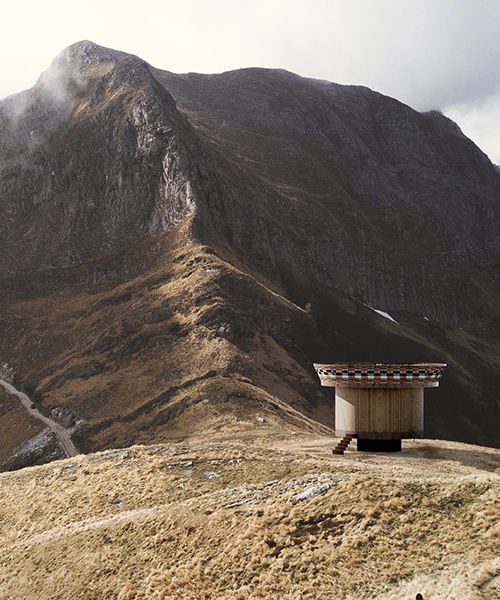 noa* (network of architecture) completes the renovation and expansion of the zallinger refuge at the seiser alm, or alpe di siusi, in the italian dolomites. clad in black spotted gum decking boards, the exterior mimics the surrounding, while the interior maintains a modern style with all the necessary facilities. in the wooded mountain region of santa cruz, jeff waldman, his partner molly and their friends worked together to construct a cabin and network of tree decks integrated into the native california redwoods. 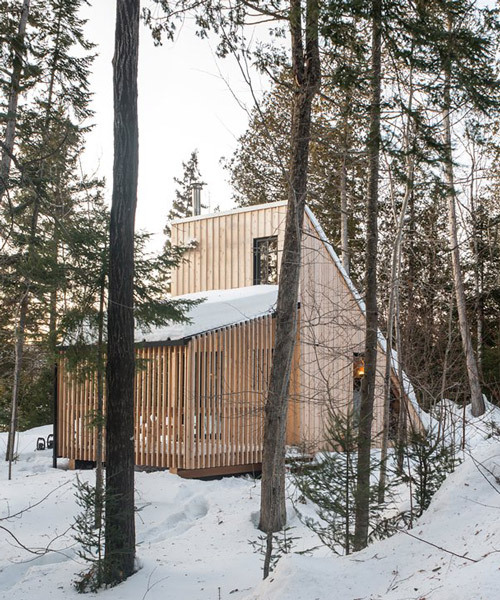 each cabin is designed to be built of 15 structural insulated panels and cross-laminated timber panels which provide structure, insulation, and interior finishes. the approach consists of a prefabricated, flat-packed, mass-customizable system that can be configured to meet a wide range of individual needs. 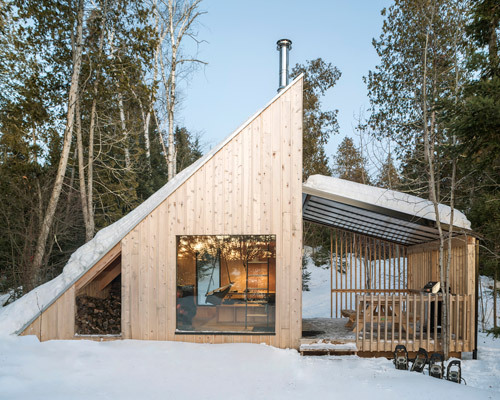 the cedar board clad microcabin opens with a large garage-style door, includes space-saving furniture, and can be upgraded to run off-the-grid. the black dwelling is a quiet retreat without luxury that links the urban everyday life to the rural closeness with nature. the objective was 'to let ourselves be guided and inspired by the terrain’s characteristics', explain appareil architecture. 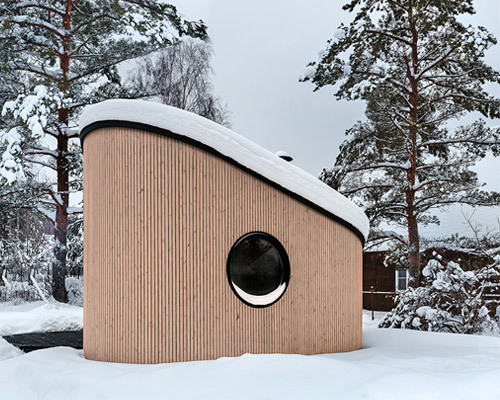 as the colder months approach, designboom explores the architecture of cozy winter retreats. with transformative golden-mirrored elements, MINI LIVING and penda discuss how the urban cabin in beijing creates a new sense of community. jacob witzling has an inclination for the outdoors and a weakness for woodland homes. jacob witzling is a cabin builder (and second grade teacher) currently driving this eccentric and extraordinary abode around the united states.